It reminds me of fish food…. ‘Tis the season to be scary, fa la la la la….. This entry was posted in Uncategorized and tagged craft, halloween on 24th October 2018 by www.mammylu.com. We finally got a chance to get out our ‘rock decorating’ box. We’re working on a star/Pokemon theme in honour of the weekends meteor shower and my 6 year old’s current obsession. The baby had some tears about not being allowed to join in, so I let her. Now I have red hands from wrestling the sharpie from her. We’ve a couple we found last year that snuck in the box and need to be rehidden too. 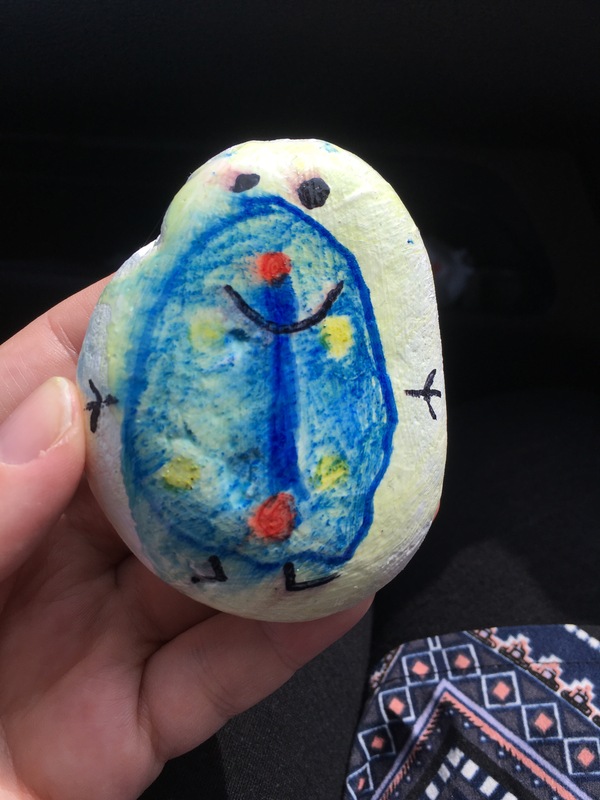 This entry was posted in Uncategorized and tagged children, craft, kids, rock painting, rocks, tynesiderocks on 11th August 2018 by www.mammylu.com. Recent horrible weather started our Easter crafts early… luckily we are always pretty well stocked with craft stuff! This entry was posted in child related, Uncategorized and tagged craft, Easter, Easter activities for kids, Easter bunnies, Easter craft, Easter eggs on 19th March 2018 by www.mammylu.com. I came across this on Facebook, basically, you decorate a rock, write the name of the Facebook group on the back, with a message to ‘keep me or hide me again’. I like painting stuff. I’m not very good at though! However, a cheap bag of pebbles and some spray lacquer and the Clan were off! We started of in a local park, progressed to the caravan park we’re staying in and the local tourist centre garden area. This entry was posted in child related and tagged art, children, clan lanaghan, craft, tynesiderocks on 22nd August 2017 by www.mammylu.com.